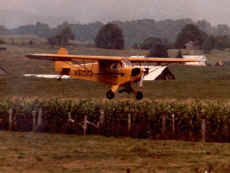 I began my flying career in the Piper Cub pictured here. In April, 1976, at a small farm field at Williamsburg, West Virginia, I began flying with a retired instructor, Tate Mauzy. The airplane is a 1946 Piper J-3 Cub. It has only 65 horsepower, but with two of us, it would be airborne in about half of the 800-foot strip. Tate Mauzy passed away October 16, 1996, at the age of 86. The picture above was one of his favorites - just seconds from a smooth 3-point landing in his private strip. This nice Cub is still owned and flown by his son, Bill Mauzy. In September, 1976, I began flying with Mrs. Ruth Gwinn (1919-2010), manager of Hinton-Alderson Airport (WV77) at Pence Springs. 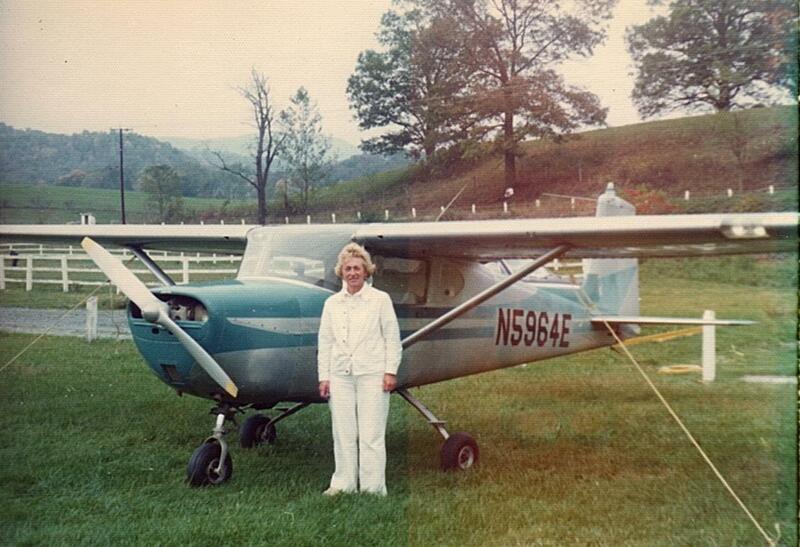 She is pictured here with her 1959 Cessna 150. I soloed in this plane at Lewisburg on March 19, 1977. I received my Private Pilot's License at Beckley, West Virginia, May 5, 1978. "Eagles' Wings" actually got its name as a carry-over from the name of a magazine I tried to "get of the ground" in the early 1980s. I advertised in Trade-a-Plane, and got responses from all over the world, but did not get enough new interest continually to keep it going. Some of those who corresponded with me through this effort were Dorothy Ferris, who then owned the Taylorcraft Company, Igor Bensen (1917-2000), who was famous for his gyrocopters, and Larry Montgomery, of Larmont Aviation, a promoter Helio airplanes and missionary aviation. The head of the Flying Octogenarians (pilots over eighty), and Kings Engineering Co., designers of the Angel airplane, also. I think our little magazine was the first to feature the Angel on the cover. I received most of my advanced training at Mallory Airport in South Charleston, West Virginia. I received my Instrument Rating in 1983, and the Commercial Pilot Certificate, and Flight Instructor Certificate the following year. I had many hours of training with Benny Mallory, and the late Merry Casto. Since 1984, I have tried to provide thorough, quality flight training at a reasonable price, and since the end of 1995 we have spent several years in Papua New Guinea. We are involved in educational and aviation oriented missionary work there. Click here: Papua New Guinea for more information about that. As of February 2016, we are in the United States, and serving as educational missionaries at Liberty Christian School. "Oh that I had wings like a dove, for then would I fly away and be at rest." 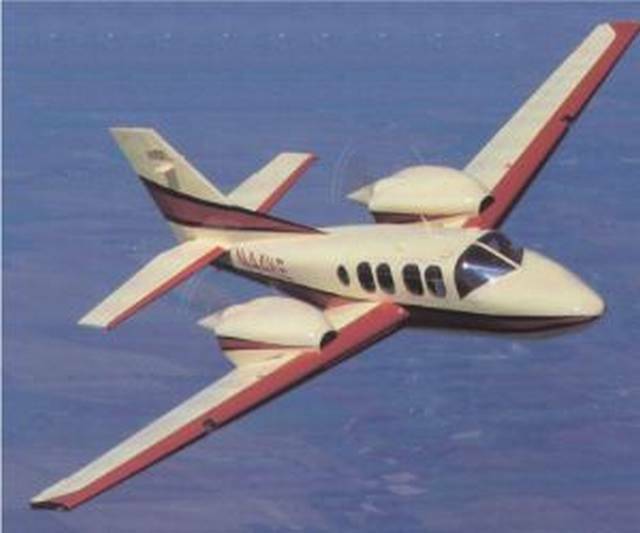 One of the aviators I became acquainted with through the Eagles' Wings Magazine attempt was Carl Mortenson, designer of the Angel Airplane and a predecessor named the Evangel. Both were designed especially for missionary work, but of course would have many other applications. Below is a picture of my grandson, Ethan, and I with Carl Mortenson at their headquaters in Orange City, Iowa, in 2014. For more about the Angel Aircraft and Kings Engineering Fellowship, CLICK HERE to see their web site. Copyright © 1997-2018 by Eagles' Wings Ministries. All Rights Reserved.